The modern workforce never sleeps. They rarely sit still. 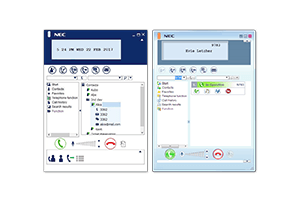 And that is what makes the NEC range of Desktop and Mobile Client options their perfect business partner – because they are designed with portability and productivity in mind. 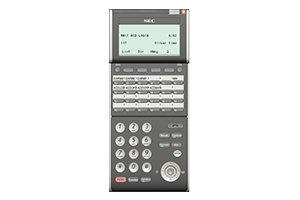 NEC has taken our best in class desk phone functions and adapted them for mobile use, delivering the features and dependability of a desk phone without compromise. The modern workforce is no longer chained to its desk or its communication solution. Your employees need to be mobile and equipped to work from virtually anywhere. And with NEC, they are. 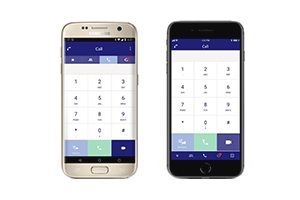 Our range of Desktop and Mobile Client options lets your staff work in a way and at a location that mimics the functionality of their desk phone. They can log in to the softphone like they do their desk phone, with calls automatically delivered to their laptop. But we’re only getting started. Your staff can also share applications, host video conference and hold interactive whiteboard sessions with up to 8 other users as well as make and receive audio and video calls from almost anywhere. No missed calls. No call forwarding. No hold ups. Just pure flexibility and more empowered employees*. Thanks to NEC, your workforce can be part of the action without being part of the furniture. * Video & collaboration features are product specific.